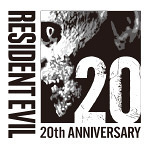 Send "Resident Evil 20th" a message! Send "Resident Evil 20th" a request! Welcome to the Resident Evil x Tokyo Otaku Mode special fan site! 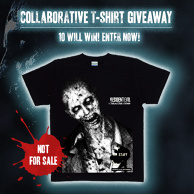 Celebrate the 20th anniversary of the worldwide hit survival horror game with us! The first Resident Evil game was released in 1996 for PlayStation. Praised and loved for capturing the horror of trying to scavenge weapons and items in order to survive in a hopeless situation, it became a pioneer title of the newly-born survival horror genre through its innovations in gameplay, setting a clear line between it and earlier games. The series continues to amaze gamers with its ability to change and evolve, as evidenced by the 65 million total copies sold (as of March 31, 2015). The series has also expanded into a multitude of other media including a Hollywood live-action adaptation, a full CG anime theatrical movie, a stage play adaptation, and even theme park attractions. This globally popular title is celebrating its 20th anniversary on March 22, 2016, a new turning point in the series’r; history. To commemorate this, Tokyo Otaku Mode has prepared a special page you can only see here! We hope all of the many fans worldwide will join us in celebrating the 20th anniversary of this monumental series that has shown us all what it means to be truly terrified! The Resident Evil series is well known for the world of overwhelming terror that it has created in its own unique way. Often referred to as "Bio" by Japanese fans (from its Japanese name, Biohazard), the much-loved and incredibly popular series currently boasts 90 titles, including games ported to other platforms. This confirms its status as an immortal masterpiece that has conquered the entire world. Resident Evil has already been with us for 20 years since its creation in 1996. Let&apos;s look back on the path that the as yet unrivalled king of survival horrors has taken through the years. The survival horror game that heralded a new era. The very first game, from which everything began. The story starts in 1998 in the provincial Raccoon City, Midwestern America. The protagonists of the game - members of the elite task force S.T.A.R.S. - Chris Redfield and Jill Valentine, are sent to unveil the truth behind a series of bizarre events, and end up fighting to survive in and ultimately escape from an abandoned mansion. It&apos;s been two months since the Mansion Incident. A deadly virus escapes from a laboratory, and the infection spreads across the entire city. Raccoon City has become a town of death, overflowing with zombies, and a desperate escape attempt begins. Leon S. Kennedy, the newly recruited police officer who went on to become a popular character, and Claire, the younger sister of Chris Redfield, make their first appearances in this game. An additional story that unfolds at a different time. This additional tale takes place along almost the same timeline as the events that occurred in Raccoon City in Resident Evil 2. It becomes clear that every incident was caused by the leak of a biological weapon (the T-virus) secretly developed by the corporate giant Umbrella Corporation. Alongside a story of sweeping scale, this title depicts the terror of being hunted in a way never seen before. This popular title shines a spotlight on the siblings Chris and Claire, as it tells the tragic tale of madness on a remote island. his game is set three months after the events of Resident Evil 2. Claire Redfield tries to sneak into Umbrella Corporation on her own to find her older brother, Chris, but she&apos;s captured and ends up imprisoned on a remote island in a distant sea. What kind of madness awaited her there? Her tragic love story with Steve and his impressive dual handguns is truly unforgettable. The gripping tale of the days before the Mansion Incident from which everything began. 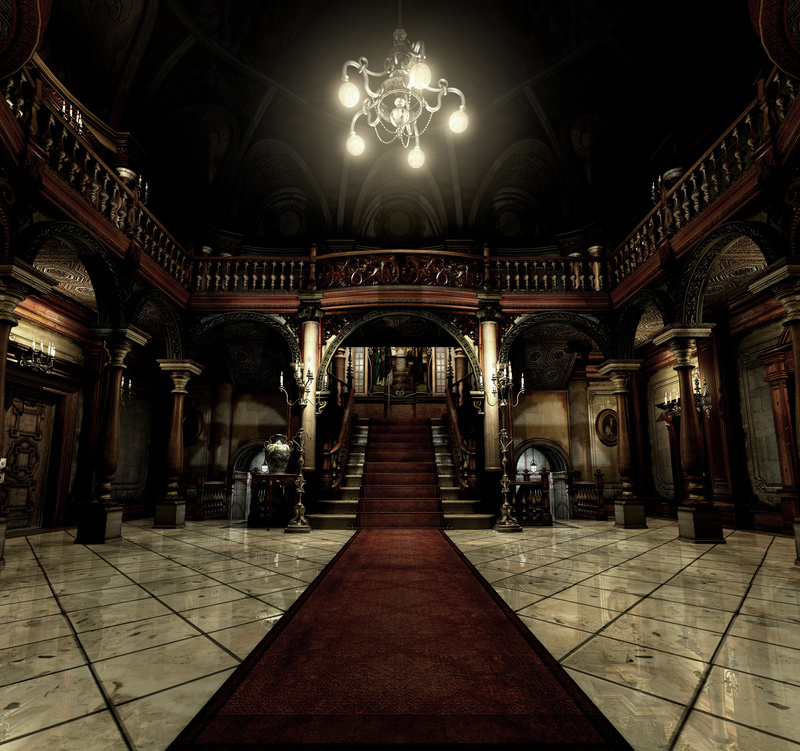 Resident Evil Zero tells the dramatic story of the days before the Mansion Incident in Resident Evil. We learn what happened to the sole survivor of S.T.A.R.S. Bravo team, Rebecca Chambers, before she arrived at the mansion. The leading characters are Rebecca and convicted criminal Billy Coen, who has been sentenced to death. This game features the "partner zapping system," allowing players to switch between characters. The divide between a new concept and an evolving series. It&apos;s been six years since the incident in Raccoon City. Leon S. Kennedy has become a secret agent for the U.S. federal government, and he&apos;s sent on a mission to a rural European village. It turns out that the village isn&apos;t infected with a virus, but is being controlled by some other madness instead&mldr; Resident Evil 4 completely reinvented the series, and it&apos;s a masterpiece that boasts an extraordinary level of quality as well as achieving radical innovation. Time has passed, and Chris is once again the leading character as he travels to Africa 11 years after the original events. It&apos;s been 11 years since the Mansion Incident, Umbrella Corporation has collapsed, its biological weapon is reaching further and further afield, and bioterrorism continues to spread around the world. Chris Redfield is tasked with apprehending a biological weapons broker and makes his way to Africa with his new partner, Sheva. Players can enjoy co-op mode for the first time in the series. The newest addition to the main series, and the most ambitious so far. Set some 10 years after the events of the Raccoon City Incident, Resident Evil 6 tells the tale of bioterror attacks that are taking place in America, China, Eastern Europe, and all over the world, from the perspectives of Leon S. Kennedy, Chris Redfield, Jake Muller, and the mysterious female agent, Ada Wong. The masterpiece that went in pursuit of terror - taking things back to basics and astounding fans. Resident Evil: Revelations fills in a missing link in the series. With Jill Valentine as the main protagonist, it tells the story of the newly established Bioterrorism Security Assessment Alliance (BSAA). This game takes things back to basics, and employs a fusion of classic techniques and fresh ideas to create a stronger feeling of terror, earning it tremendous support from players. Resident Evil: Operation Raccoon City shows the events that occurred in 1998 during the Raccoon City Incident from Umbrella Corporation&apos;s point of view. This game pits a USS task force and a Special Ops team against each other, throwing zombies into the mix to make a three-way fight. It became super popular as an ambitious shooter-type game, its controls giving it a feverish sense of speed unlike any Resident Evil game before it. 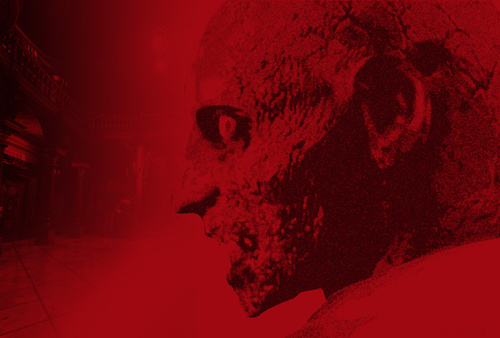 The long-awaited HD remastering of the monumental remake resurrects that overwhelming terror. The long-awaited HD remastered version remake of Resident Evil, which was declared the most terrifying game in the entire series, has arrived. The overwhelming terror of the original game is reproduced perfectly in this detailed creation that makes you feel part of the game more than ever before. Experience a masterpiece optimized for modern gaming setups. Continuing the concept of "back to basics," this ambitious title offers a brand new play style. Set on a remote island in a distant sea, Resident Evil: Revelations 2 tells the story of two chances of survival - escape or rescue - from the perspectives of the popular characters Claire and Barry. The four episodes are intricately entangled, and the compelling nature of the truly unforeseeable events attracted tons of attention. HD remastered graphics awake a new feeling of fear. Resident Evil Zero, with its daring new playing style in which players solve mysteries by alternating between the two main characters, had a huge influence on subsequent games in the series. In this HD remastered version it&apos;s back again, but now with extremely sharp graphics. This game features widescreen support and Arrange Mode, as well as an array of other new modes. The suspense of multiplayer battles featuring the CQBZ (Close Quarter Battle Zone) battle system and the terror of facing zombies. 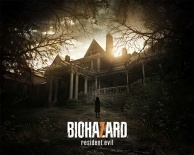 While capturing the elements that are unique to the zombie-heavy Resident Evil series into its game mechanics, this shooter action game has a streamlined story and is packed with brand new ideas and devices that instantly react to a player&apos;s strategy. One of the series’r; main protagonists and Claire’r;s older brother who is introduced into the series in Resident Evil. He makes his first appearance as a member of Raccoon City’r;s special law enforcement team, S.T.A.R.S. Alpha team. His most famous weapon is his beloved Beretta 92F Custom &OpenCurlyDoubleQuote;Samurai Edge,”r; but he starts with the survival knife in the first game. He has appeared in multiple games throughout the series in the fight against Bio-Organic Weapons. 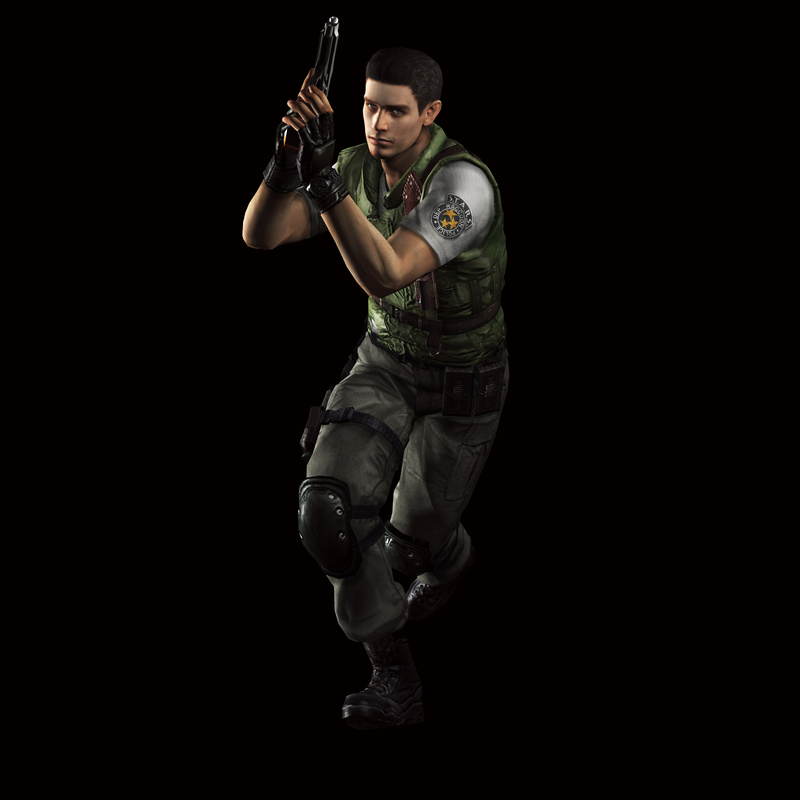 In Resident Evil 5, he appears as one of the original 11 members of the newly formed anti-bioterrorism organization Bioterrorism Security Assessment Alliance (B.S.A.A.). As an anti-bioterrorism specialist, his role in the series is strengthened all the more. In Resident Evil 6, Chris appears deeply wounded, having lost his squad in a failed mission under his command. One of the series’r; main protagonists along with Chris. He debuted in Resident Evil 2, on his first day as an officer with the Raccoon City Police Department. He is portrayed as a naive rookie with an unyielding sense of justice. Following the Raccoon City Incident, Leon appears as a special agent of the U.S. government in Resident Evil 4, a turning point that redefined the series. In Resident Evil 6, he appears as a member of the D.S.O., an anti-bioterrorism organization under the command of the President of the United States. Leon also appears in the game together with Chris for the first time. Debuting in the original Resident Evil game as Chris’r;s partner, Jill is a popular character loved by fans throughout the years. In the very first Resident Evil game, like Chris, she is a member of S.T.A.R.S. Alpha team, and has the memorable abilities of lockpicking and playing piano. In Resident Evil 3, she is alone in Raccoon City continuing the investigation. With the pursuer Nemesis close behind, the game is an escape mission overflowing with suspense. In Resident Evil 5, Jill supposedly dies&mldr; but is there a twist? Jill is also the protagonist in Resident Evil: Revelations, the game which serves as the missing link between Resident Evil 4 and 5. The main villain of the series. Wesker makes an appearance in several of the games throughout the series, or is otherwise revealed to be the evil mastermind behind the incident, continuously tormenting the player. In the original Resident Evil game, Wesker debuted as the captain of S.T.A.R.S. and Chris and Jill’r;s leader, as well as the evil mastermind of a plot, and is seemingly killed upon the release of the Tyrant monster. However, in Resident Evil – Code: Veronica, he reappears augmented with superhuman abilities after having injected himself with an experimental version of the t-virus. In order to fulfill his own ambitions, he is involved in the shadows behind numerous plots of bioterrorism. While he is a bitter enemy, he is also a highly popular character among fans, and is featured as a playable character in spin-off titles and mini-games. Debuted in Resident Evil 2 as a university student who loves motorcycles and cares deeply for her elder brother. Upon visiting Raccoon City to search for her missing brother Chris, gets mixed up in an unprecedented biohazard disaster. Later, she is the protagonist in both Resident Evil – Code: Veronica and Resident Evil: Revelations 2. With a determined spirit, a kind heart, and intense combat action, her character certainly doesn’r;t fall short of her brother. Debuted in the original Resident Evil game. Barry makes an appearance in various scenes as Jill’r;s partner, and supports the player throughout the game. His preferred weapon, the Magnum Revolver, is also hugely popular among fans, but he has unfortunately yet to appear as a playable character in the series. 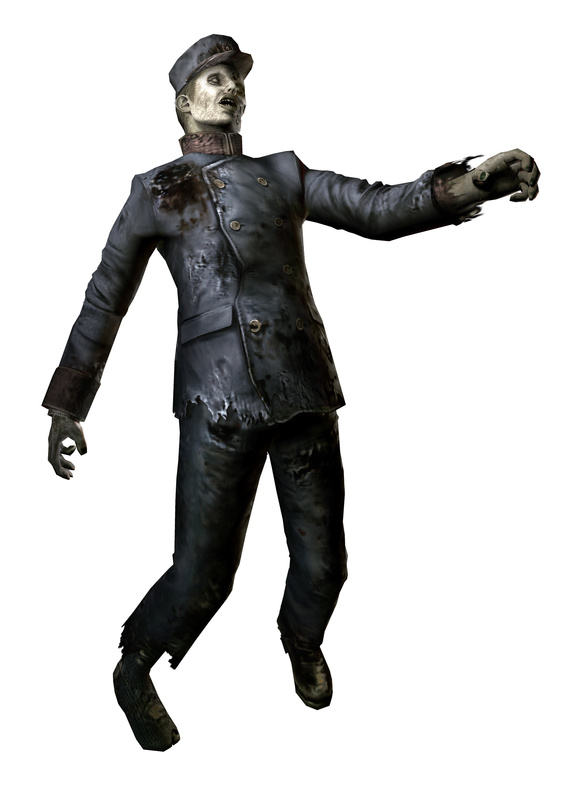 Barry’r;s reappearance as one of the main characters in Resident Evil: Revelations 2 (2015), as he embarks on a deserted island to rescue his daughter Moira, received the applause of longtime fans worldwide. Debuted in Resident Evil as the sole survivor of the annihilated S.T.A.R.S. Bravo team. She is also the protagonist of Resident Evil 0, where she becomes embroiled in the Ecliptic Express Incident on the night before the Mansion Incident. Debuted in Resident Evil 2, where she meets and teams up with Leon during the Raccoon City Incident. An enigmatic, duplicitous character, Ada is the top agent of a rival company to Umbrella Corporation. She has appeared in several incidents throughout the series, but her motives are always a mystery. She is playable for the first time in the series as one of the main characters in Resident Evil 6. A mercenary and the son of Albert Wesker who debuted as a main character in Resident Evil 6. Jake has a cynical, jaded personality and trusts only himself, but he softens after meeting Sherry. He has rare physical abilities inherited from his father Albert. He also carries the antibodies for the C-Virus in his blood. The daughter of William Birkin, a researcher at Umbrella Corporation and developer of the G-Virus. She debuted in Resident Evil 2 as a young girl caught up in the Raccoon City Incident after her father Dr. Birkin injects her with the G-Virus. Several years later, she appears grown up in Resident Evil 6 as an agent for the U.S. government. She is tasked with bringing in Jake Muller and the two must flee from a B.O.W. called Ustanak which pursues Jake relentlessly. Monstrous, flesh-eating humans infected with the &OpenCurlyDoubleQuote;T-Virus.”r; To put it accurately, they’r;re not dead, but rather have become living corpses, walking mounds of rotting flesh, due to the effects of the virus. The cause of this phenomenon comes through genetic alterations resulting in increases to metabolic rate, strength, and vitality such that they remain alive even after being shot, while on the other hand the cells of the body undergo necrosis, rapidly expending energy from the body. Because their frontal lobes are destroyed, zombies possess very little ability to think, but they have a voracious, insatiable appetite due to their fast rate of energy expenditure. It is because of this need to satiate their hunger that they attack and feed on humans, gnawing to get the flesh they so desperately crave. They more or less retain the habits and memories they had as humans, including being able to open doors, and they wander around locations familiar to them. Their strong stomach acid allows them to digest food as effectively as possible, while also making their vomit a dangerous weapon.